Shadolf wrote: Looks like the brushed stainless steal I suggested in my last post. You don´t have to paint it, just when you like another color . The overlay will perfectly stick to it. Ok, just that I have seen many white sprayed, and I thought it was to protect from the oxide, or to cover better the edge in case the overlay doesn't sit perfectly. You are right, but this goes for the normal steel CP´s. And yes, white paint would better (optically) cover the edges, but thats a question of personal taste, white or stainless steel edges. I wouldnt paint stainless steel CP´s because the paint can get dirty with time or get scratched. I see. Thanks again. LAst question, what are the measures of the bolts that fix the panel to the cabinets? M4 or M6? Just to chime in here. Wouldn't mind a cad file of 2L16B myself in case I decide to get my panels cut for me rather than cutting them myself. Someone who does CAD stuff could take the panel scan from the wiki and make a CAD file from it and if they do I'd love a copy of it. zumbito wrote: I see. Thanks again. LAst question, what are the measures of the bolts that fix the panel to the cabinets? M4 or M6? It´s M4 at NAOMi kind, don´t know about other but expect them to be also M4. I should be able to sort out a 2L16B layout in a few days once I'm home. Hi Franco, if it is not asking too much, can you save it in a older autocad version, I stopped using it years ago, and didn't go past 2009 version, so I couldn't open those amazing layouts. What bolts are used for securing this panels to the cab, M5 or M6? I thought it was M6, but saw jensen customs uses M5. The carriage bolts used to fit the CP to the cab are M4 x 16. Use them with M4 flanged nuts. Well, economy is not going well lately to buy a new license. Using FrancoB's 2L12B AutoCad panel I modified it to the 2L16B layout using overlays from Slagcoin and the Panel scan in the wiki. I linked FrancoB a copy first of the completed file just now as its his base files I used for his approval and checking. I asked him if he deems it worthy that he can release the files DWG file and save it as a DXF one to add to his collection. 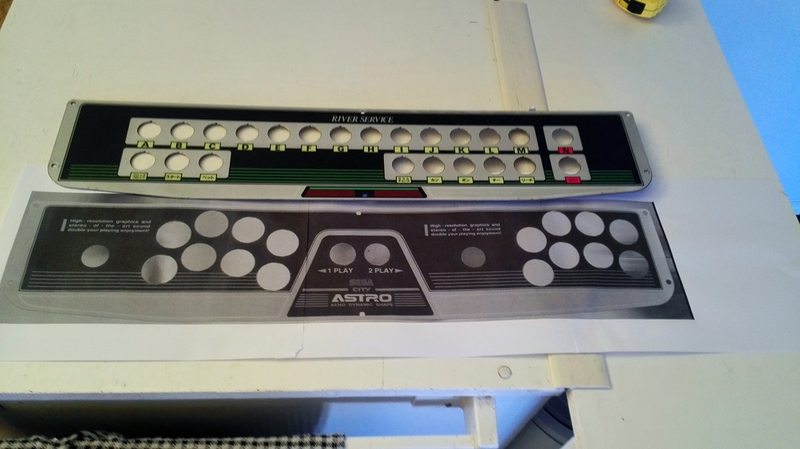 I took care in trying to match the panel scan in the wiki as best I could which seems like a DIY job rather than a exact measurement one (Note player 2 the holes mainly the thumb button is slightly lower than the CAD drawing and not aligned properly to the X axis, that could also be a slight rotation of the background image when I was line'ing it up or a diy adjustment to the button placement). The X and Y scale for starting the layout I used the joystick hole from the panel scan in the wiki as the base marker for scale its a rough marking not exact measurements, which is what that scan uses FrancoB would hopefully know the correct axis placements for both Player 1 and 2 layouts as both are not the same axis to start on that panel scan. My template is to the I hope 'proper' measurements at Slagcoin. Hopefully Franco can check my files and release them soon. 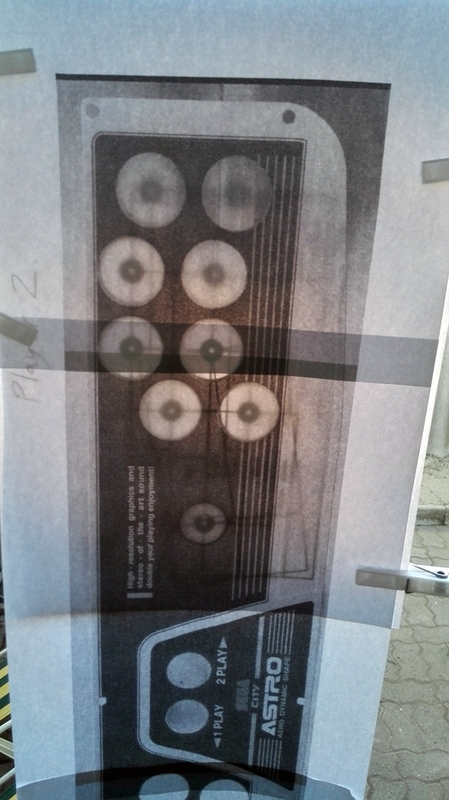 Here is a image of it overlaid with the panel scan in AutoCad to show what I have done. Last edited by drguild on January 15th, 2016, 1:04 pm, edited 1 time in total. 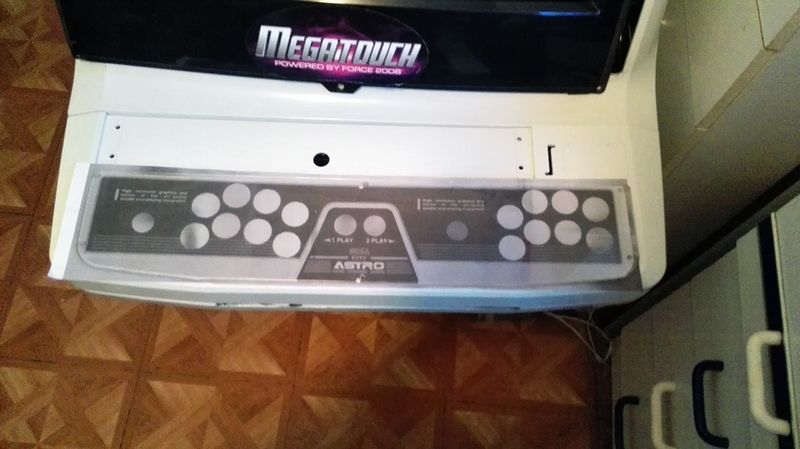 I am going to be away of my Virtua Stick for at least a month, if nobody has done it by then, I can have a look. zumbito wrote: I am going to be away of my Virtua Stick for at least a month, if nobody has done it by then, I can have a look. Yea the overall placement of the buttons to the X/Y scale needs looking at as. You can see theres a slight difference on the CAD Y height scale as well as X scale would be off a little to how it should be. So hopefully someone will give us the correct starting co-ordinates from a official panel. I realised why the thumb button for player 2 seemed a little low on the scan my cad button was adjusted 1mm too high, I fixed up just now, so its all proportionate again to the panel scan. I've re-saved all 32 .dwgs and .dxfs as AutoCAD 2000 versions and added a DL link to the OP. Could you download them and see if you can open them ok? drguild wrote: Using FrancoB's 2L12B AutoCad panel I modified it to the 2L16B layout using overlays from Slagcoin and the Panel scan in the wiki. I've taken a look at your CAD files and it all looks ok from here, I can't see anything obviously wrong. If you only have a scan to work from then I don't think you're going to get much closer than what you've done. Are you looking to have panels made to fit an overlay or vice versa? If you're looking to do either then one of the easiest things to check your layout is to plot/print the drawing and then offer it up to the panel or overlay. I add a reference shape to the drawing (80mm square in the example below) so that I can check it's plotted/printed to the right scale. Let me know if you want me to add your latest files to the Google Drive and upload them and credit you. I checked the cad files again today and found player 2 was off a little from my calculations last night so I fixed them up earlier this afternoon as a '- v3' the previous one from this morning was a '-v3' so if you used the one with the space after the dash it is the latest one on my drive. The player 2 Slagcoin template I didn't adjust that scaling as well as I could have like the player 1 template, hence why its not exactly lined up and is a little off scale for sizing but what I was interested in was the actual mm measurements which was the most important part. Eventually what I'll be doing is cutting the panel myself once our CNC machine is made and tested etc and getting someone to print the overlay as the 2 player overlays I assume are standard. I saw custom 2L16B where its the exact same placement as 2L12B with 2 buttons tacked on the ends of each players layout going into the start box etc and that didn't look as nice as that scan did in placement. Sure you can save the files in the earlier version and offer it up and if anyone can get it closer in x/y placement of the layouts they can go ahead and let us know, I mainly tried to use a visual reference for that on that panel which may not be official as the player 2 holes that were drilled seem slightly larger than player 1's. Had to double read your reference to right scale check, I printed the scan out originally as a check myself so know what you mean, that CAD file is just your 2L12B one modified with a moved placement and copied button holes for the 2 last holes so was very easy, I added the extra images just as a guide as layers to try to scale them best I could visually especially the panel scan to your sizing you already had from your 2L12B panel. Was waiting and being polite incase Franco released the files first on here, but its been enough time that I can release them. 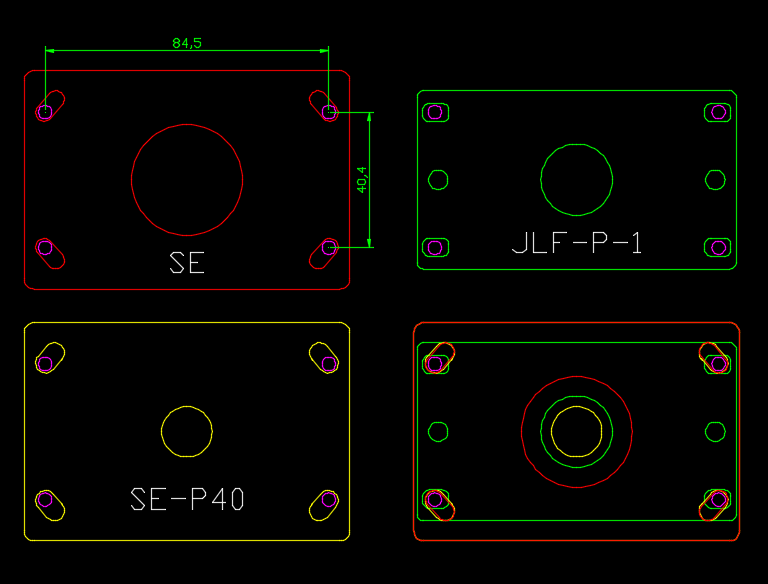 I checked my CAD file with a 2L16B template I randomly found that a guy MaKoTo made himself online on his French refurb page back in 2011 and my CAD template mostly matches Player 1 and the start buttons are almost the exact same alignment and fine to his panel apart from a few mm alignment in centering, player 2, X axis is the same as my player 1 but seems Y axis is slightly more off compared to player 1. I have just for unification adjusted the Y for player 2 on my CAD to be the exact same as player 1 which is more to that guys Inkscape and looking around at the Sega Virtua Stick as I was guesstimating based on the panel scan and was a difference of 0.6903 higher for Player 2 in AutoCAD. This makes it a slightly bit better than the version I sent to Franco. Someone can refine it further to be exact if they have a Virtua Stick which I don't. The full file packaged zip for Autocad 2000+ with a included DXF for those without AutoCAD and also with the scan images I sent to Franco can be found on THIS LINK. If anyone can make it better and placements more exact please let me know. since a few have asked about stainless steel. 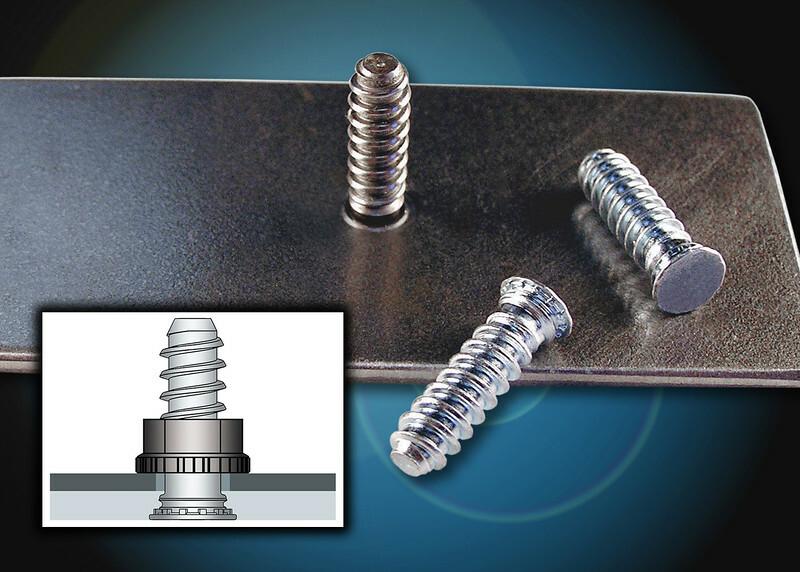 its ok to use if you are going to use cd stud welding, or spot welded brackets. I prefer using self clinch studs as they give a nice clean install. Hi FRanco, all DWGs are fine now. I have tried to apply the pitch you propossed for the bolts (84.5x40.4), but just found the lower right side almost overlaps with the first botton in the second line for P1. How do you work this around?